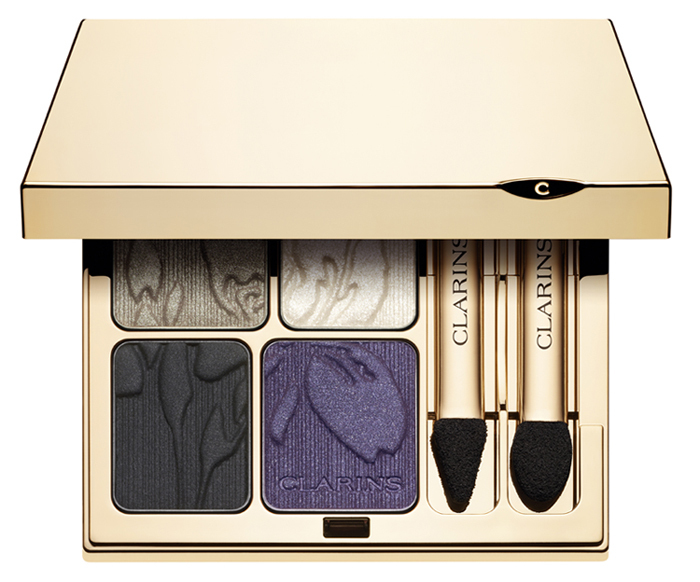 This makeup collection was inspired by the iris flower. 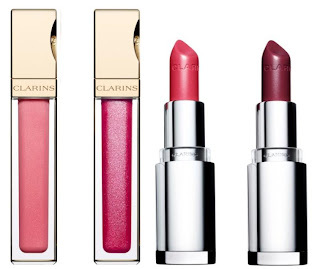 You can re-create “indigo eyes from Mary Katrantzou, immaculate blushed skin from Valentino or the delicate pink lip at John Richmond” with this collection. 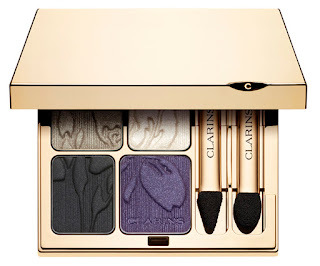 Eye Quartet Mineral Palette - Limited edition eyeshadow palette in Taupe, intense plum, black liner and white highlighter. Face & Blush Powder - Limited edition palette with an Iris pattern sand trio of shades. Mineral Loose Powder - 01 Light , 02 Medium & 03 Dark. Ultra-fine, lightweight mineral powder with a velvety soft texture that illuminates the skin, giving it a translucent yet radiant finish. 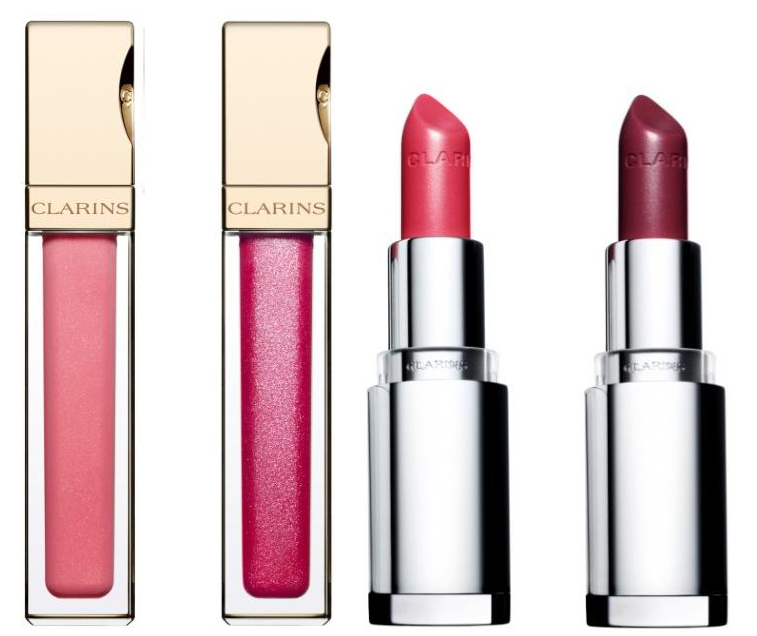 Prodige glosses contain Clarins Maxi Lip™ peptide with hyaluronic acid and have a blackberry and liquorice scent and flavour.